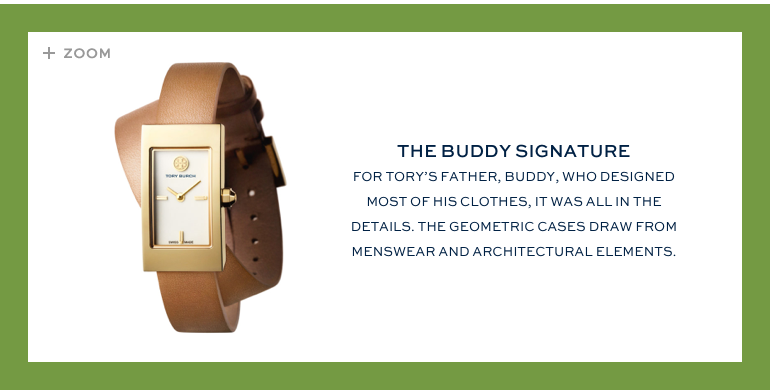 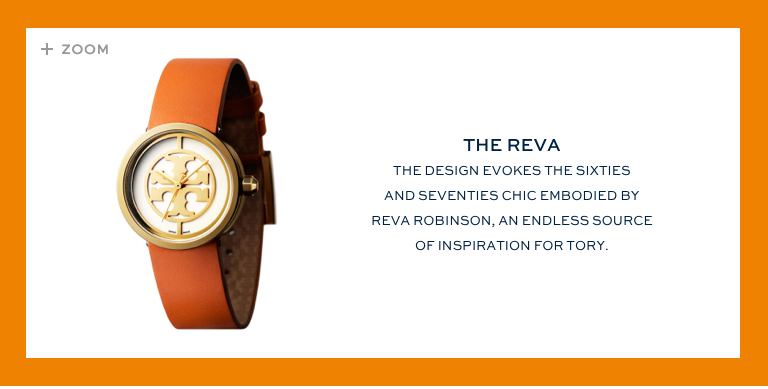 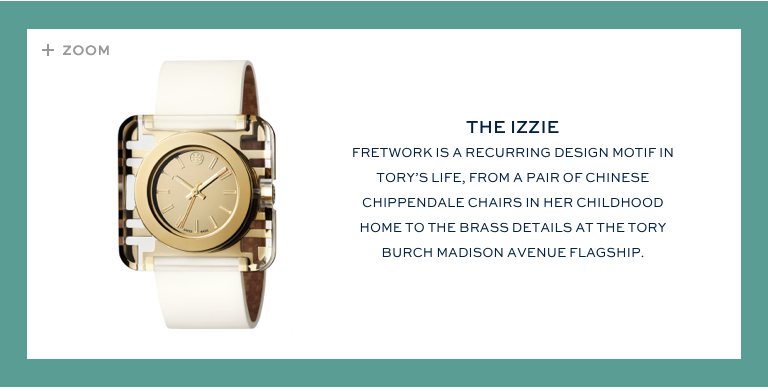 Tory Burch has entered a collaboration with Fossil the watch company. 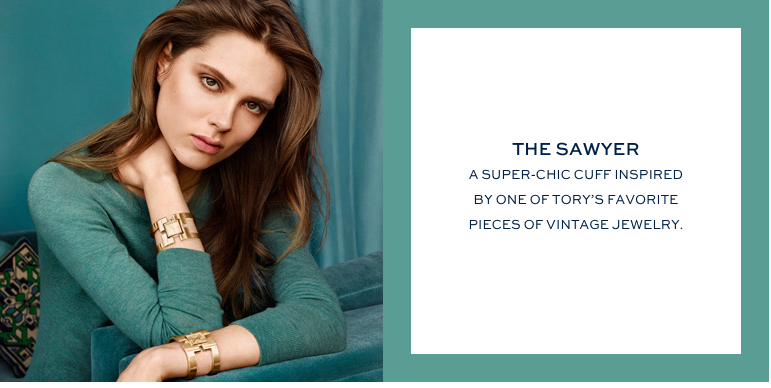 Tory Burch known for it’s all American style, casual chic accessories is in major expansion mode. 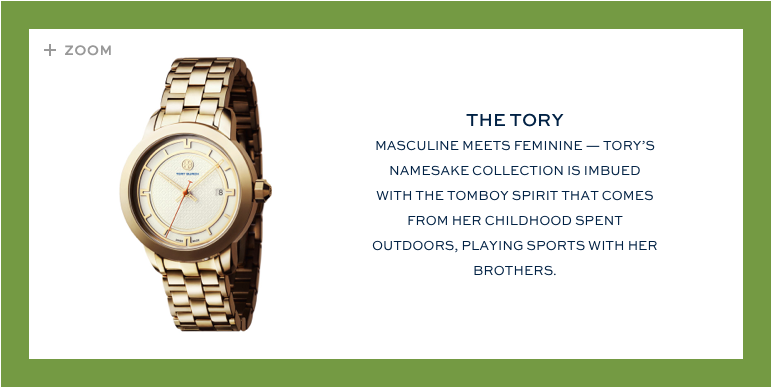 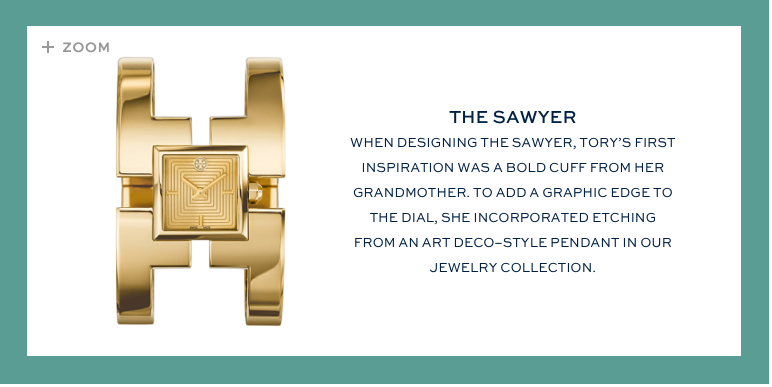 The company has decided to venture into the time piece market to fill a void in the market, she says. 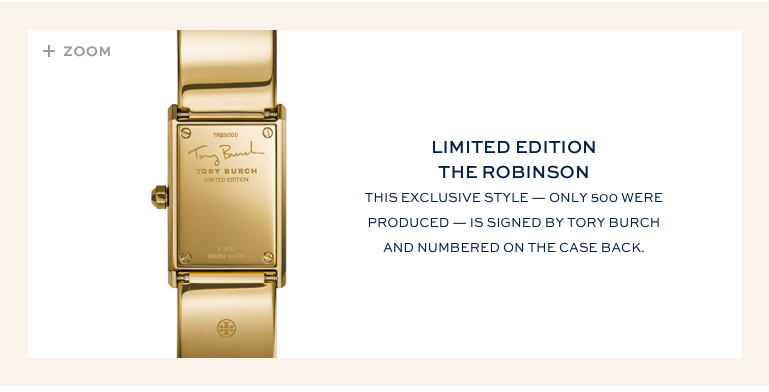 Most of the watches range from $350 – $695, but there are two limited edition watches that sell at $895 and $995. 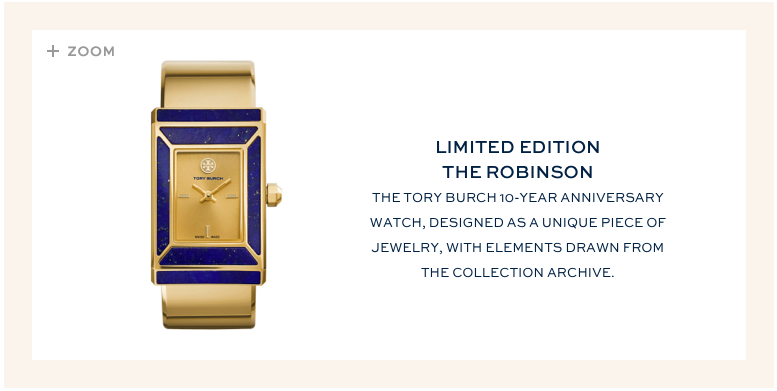 The price point for Burch’s collection is higher than her direct competitors Michael Kors ($140 – $550 ) and Marc Jacobs ($150 – $350).